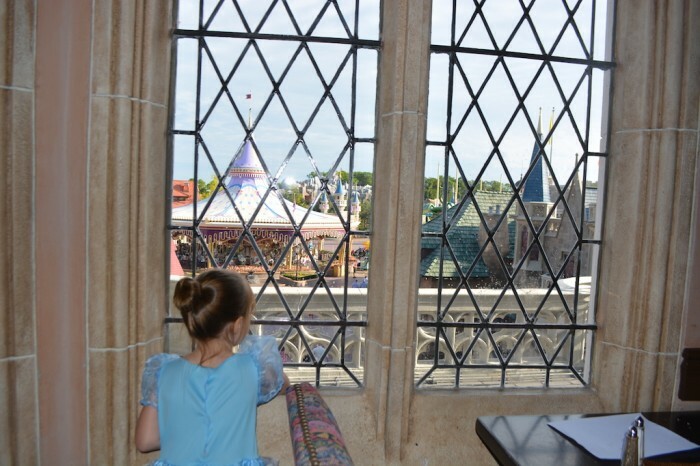 For a long time Cinderella’s Royal Table (CRT) in the Magic Kingdom was the hardest dining reservation to get in all of Walt Disney World. Guests would need to wake up at the crack of dawn 180 days out from their vacation to call and attempt to get a coveted ADR. In the last couple years, Be Our Guest Restaurant has become the hardest ticket to get in town, but CRT has been a close second. However, Cast Members have reported that usual high demand ADRs for CRT breakfast and dinner have been available…and no one knows why. This could be computer glitch, but it could also be a sign of a very soft summer for Disney. In theory, if CRT was a proverbial “canary in the coal mine,” Disney would be well served to put on a full court press of advertising to get people to the resort this Summer and Fall. Getting near unprecedented coverage on ABC show’s Nightline, The View, and The Chew would probably be a step in the right direction. 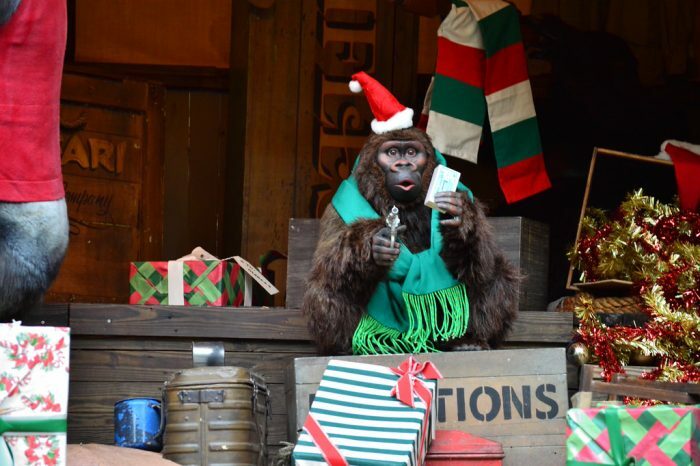 # 5 – Will the Jingle Cruise be getting a new scene? 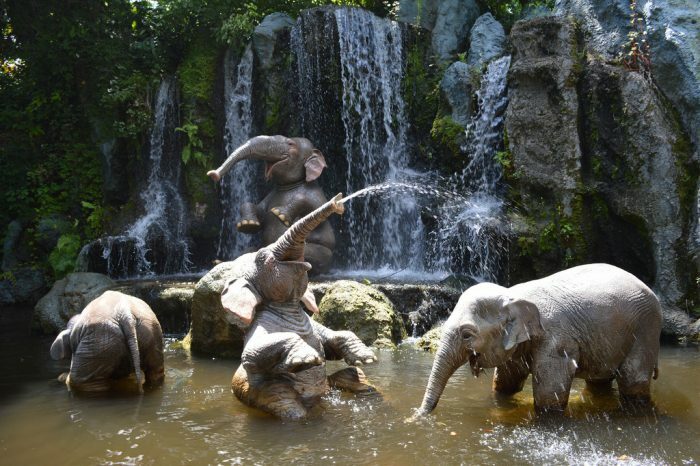 The World Famous Jungle Cruise is one of the most beloved rides in Walt Disney World. An opening day attraction at the Magic Kingdom in 1971, the attraction was given a seasonal overlay in 2013. While Disneyland guests are used to seasonal overlays such as Haunted Mansion Holiday and its a small world Holiday, we generally aren’t afforded such luxuries in Florida. However, both coasts were given the Jingle Cruise: a holiday overlay to the Jungle Cruise. 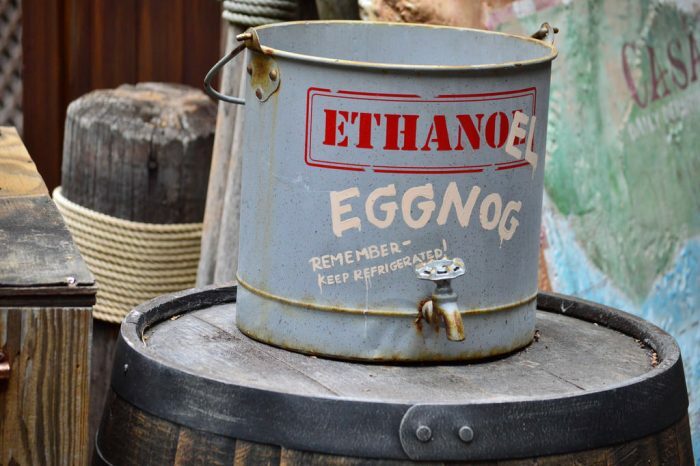 Each year small additions have been to Jingle Cruise, and while not confirmed, there is a chance we will get a major addition later this year. The scene would take place in the sacred elephant bathing pool, and would have the elephants wearing woolen caps while holding ice skates and hockey sticks. The joke would be that as soon as the temperature drops and the water freezes over, the elephants would be ready for a hockey game. Whether or not it is in the budget for this year is unknown, but this would certainly be a fun moment in the ride. # 4 – The next country in World Showcase could be….Spain? While not on many Disney fan’s radar just yet, one of the company’s big movies for 2018 is Gigantic. 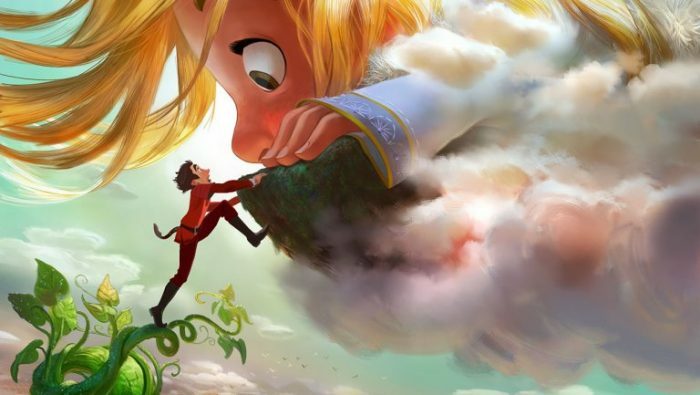 Set to open on November 21, 2018, Gigantic is an interesting take on the Jack and the Beanstalk story in which the giant could possibly become the next Disney Princess. Gigantic has the directors of Tangled and Inside Out along with the musical duo behind the songs of Frozen, so you couldn’t ask for a better pedigree behind the film. What does any of this have to do with World Showcase? Well, Gigantic takes place in Spain. If the movie is a hit as suspected, Disney doesn’t want to be left behind again and have to catch up like they were adding Frozen’s Arendelle into Epcot. Spain also has natural food and drink components that have already been proven to be a hit with the International Food & Wine Festival crowds over the years. If Spain is added to the lineup, and the rumored Ratatouille attraction is added to the France Pavilion, World Showcase suddenly becomes extremely kid friendly and an even bigger money maker than ever before. # 3 – Will either Disney or Universal blink in May? In what Jim Hill jokingly referred to as “mutually assured destruction,” both Disney and Universal scheduled major debuts within days of each other. Pandora: The World of Avatar is scheduled to open May 27th, while Universal’s “water theme park” Volcano Bay is set to open on May 25th. This type of evenT happens often in the world of Hollywood, and usually someone ends up moving away from the date. For instance, back in 2013 Marvel claimed the date of May 6, 2016 for Captain America: Civil War. Then Warner Bros decided to open Batman v Superman: Dawn of Justice for the exact same weekend. Eventually, in this high stakes game of chicken, Warner Bros backed off and moved their movie to March. Internal sources suggest that both of these projects could use a little bit more baking time in the oven, but it may be the “soft” bookings at the resorts we wrote about earlier that is forcing both these projects to come out sooner rather than later. 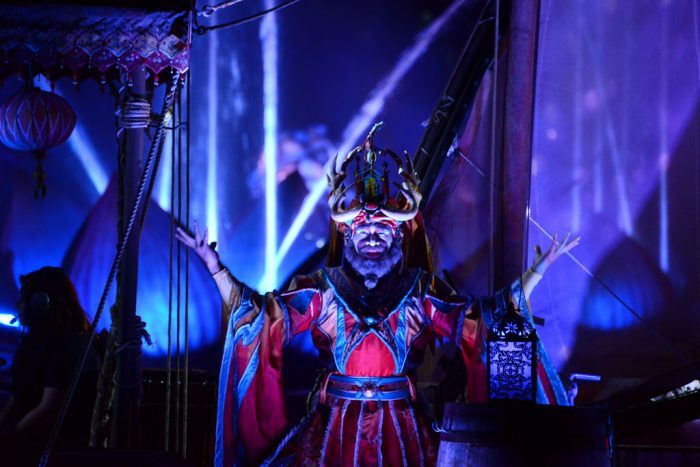 In fact, yesterday Disney announced special previews of Pandora for Annual Passholders starting on May 13th, and opened up Pandora FastPass+ options for those staying on site (and of course this led to a whole new meaning for opening Pandora’s box and creating more problems.) Universal doesn’t seem to be as “pot committed” on their May opening date for Volcano Bay as Disney is for Pandora, but there also doesn’t seem to be any indication of them moving farther out either. Having the media split between the two properties doesn’t help anyone, and hopefully both are more complete on their opening day than Disney Springs and Sapphire Falls were last year. For your reading pleasure: Jim Hill recently wrote a fascinating story about how Disney itself played hardball against Fox Animation Studio’s Anastasia back in 1997. To cut the legs out from under a rival studio’s first animated film, Disney brought The Little Mermaid out from the Vault, put Hercules and George of the Jungle into discount theaters, and released the family friendly Flubber: all with the intent in making sure there was no oxygen in the room for Anastasia to breath. To read more about that story: CLICK HERE. Speaking of something that made its debut before it was probably ready, Rivers of Light is already being discussed as being completely revamped into something different. 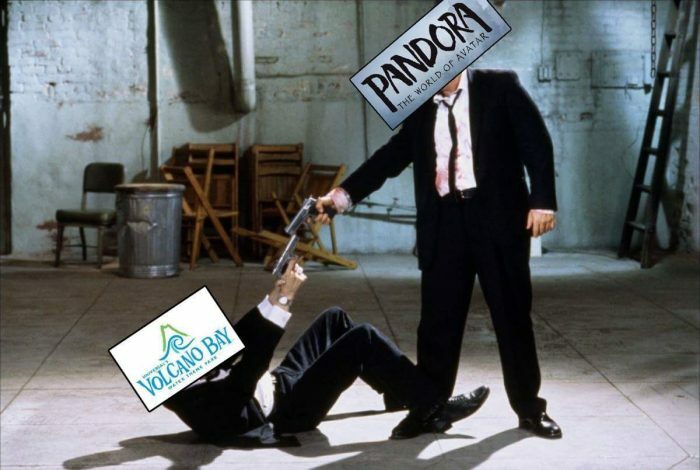 Now, you can’t blame Disney for rushing the show (weird term to use considering the show was originally set to debut in April of 2016) if they are indeed gong to be opening up Pandora for previews in the near future. It would be disastrous for Park Operations to try figure out guest flow and such for two huge projects at the same time. Having Rivers of Light running now at least allows Animal Kingdom some time to get a handle on that area before we all get our Avatar on. Believe it or not, Rivers of Light is scoring relatively high in with readers of The Unofficial Guide and TouringPlans. 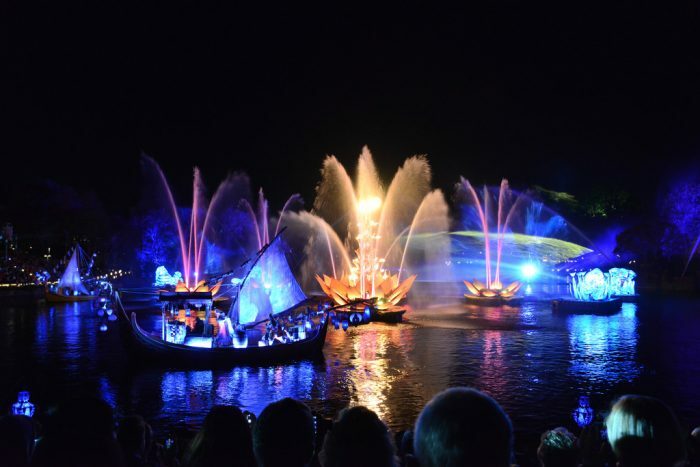 With a rating of 4.0 (out of 5), Rivers of Light is still the lowest rated nighttime spectacular at WDW, but that’s a decent score. However, ratings by preschoolers and young children are alarmingly low. We can assume Disney is getting similar results in their surveys, which is why word is that a more character driven show will replace Rivers of Light in the coming years. One of the foundations of that show is expected to be Jon Favreau’s live action remake of The Lion King. 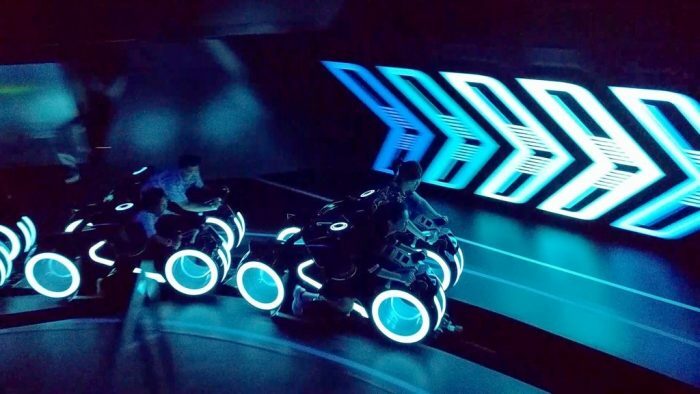 # 1 – Will Shanghai’s Tron Coaster FINALLY replace the Tomorrowland Speedway? Cross your fingers. Say some prayers. Do whatever you can do to earn some good karma, because we all need to do whatever it takes to get Walt Disney World to do something – ANYTHING – with the Tomorrowland Speedway. Personally I would be fine with just quickly re-theming the area to Pixar’s Cars universe, but Jim and Len talked about something even better. 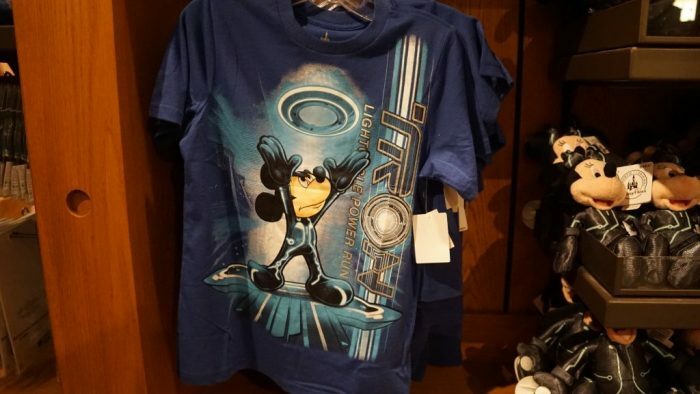 Recently there has been coverage of Disney courting Academy Award winning actor Jared Leto for the Tron franchise. 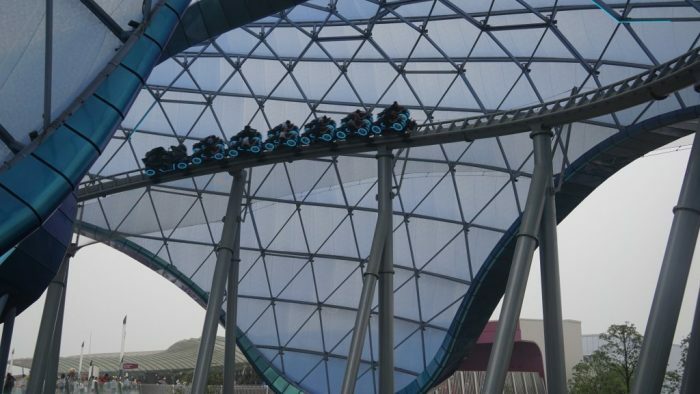 IF Jared Leto takes this role and IF the film ends up being a hit, there is a chance we here in the states could get the incredible Tron Coaster that is wowing guests over in Shanghai. That’s just the tip of the iceberg of what Jim and Len discussed in their latest audio. The two talked about the latest word on Wreck-It-Ralph replacing Stitch’s Great Escape, why the Coronado Springs Resort is getting so much attention, and even a great story on how Tinker Bell gets unstuck when flying in the park. Take it from me, subscribe to the Disney Dish on Bandcamp. You won’t regret it! 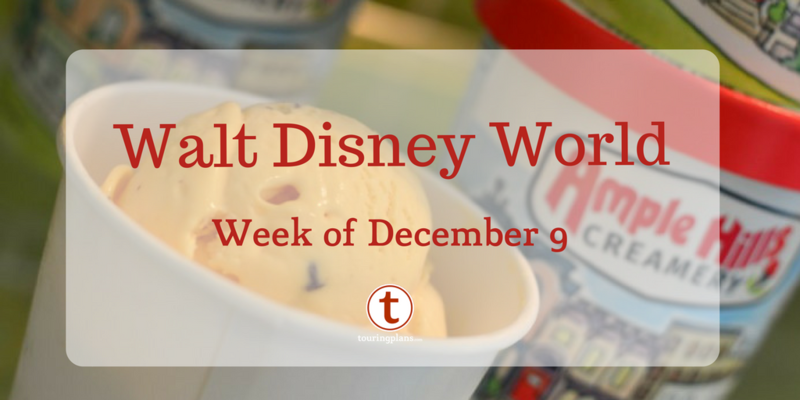 So there you have it: The SATURDAY SIX looks at the (possible) future of Walt Disney Word! See you next weekend for the latest installment of the SATURDAY SIX, where we’ll look at something fun from the world of Disney and Universal. If you enjoyed yourself, be sure to check out The Magic, The Memories, and Merch! articles, or, for your listening pleasure, check out the E-Ticket Report podcast. You can also follow Your Humble Author on Twitter (@derekburgan). but SEND US ALL THE MERCH PLEASE!! Special Thanks to crack staff photographer Brandon Glover, the bio-est of all reconstructs @bioreconstruct, and blogger to the stars Megan Stump for their invaluable assistance with this article. Be sure to also check out Brandon on The Park Blogger podcast with goofballs co-hosts Aengus Mackenzie and LitemAndHyde , while fellow Potterheads may enjoy Meg’s work on the Central Florida Slug Club. I have no doubt EPCOT is getting a huge makeover next decade. MK already got New Fantasyland, AK got Pandora, DHS is prepping Star Wars and Toy Story lands, so it will be EPCOT’s turn next. And for goodness sake, Disney, find something to replace Tomorrowland Speedway already! Or they could just Tron-ify the existing speedway, which would be more Tomorrowland-appropriate than the current Indy theme or a Cars theme. 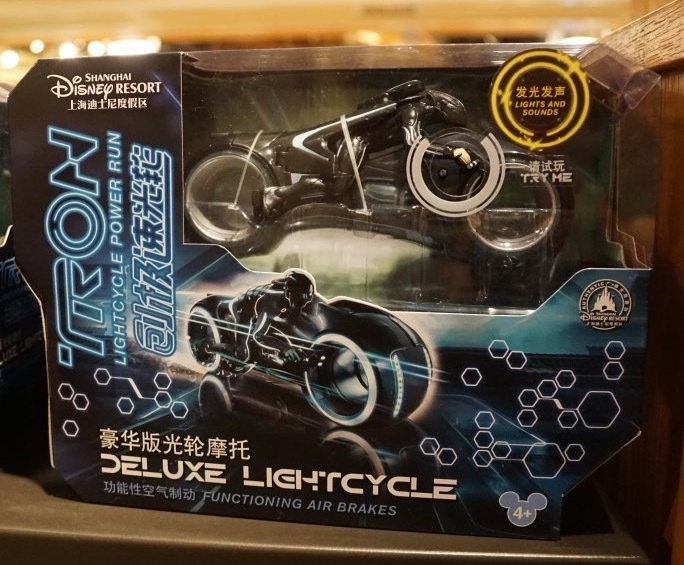 Replace the current cars with (electric, I hope) the 4-wheel vehicles from Tron:Legacy and change the landscaping to match the Outlands of the Grid. They could even update the grandstand and start/end are to look like the game arena. It would be the kind of cheap update Disney Parks likes, and help the area’s appearance at the same time. Gosh, that forecast for Rivers of Light is depressing. Can’t we have something that *isn’t* an extension of Fantasyland? My family loves the Tomorrow Land Speed Way. One of our favorite rides. If I want Roller Coasters can go to many different theme parks for that cheap thrill. Of course I am not an anti fossil fuel person and that seems to be the reason for the anti Speed Way animosity. It’s not anti fossil-fuel animosity. It’s just that the 2 cycle engines in the current speedway cars spit out an incredible amount of smoke and unburnt gas and oil. It’s unpleasant to stand near it and it’s downright dangerous for people with asthma. Also, the themeing doesn’t exactly make sense for Tomorrowland. It is odd that you would mention the problem for people with asthma. I have severe COPD and am not bothered at all. If it is a problem just don’t stand in that area. I like the theming by putting the race cars in Tomorrowland. There are a lot of things that are not in the correct area as it pertains to theming thru out the DW parks. I soon look for the Fireworks Show to disappear because a lot of people think they are a problem for the atmosphere. I don’t think its fuel or asthma or pink elephants…..if WDW is changing the ride its because not enough people like it anymore. Sorry it seems to upset you so much Jim, but like you said- there are plenty of other parks. Funny you mentioned it that way, Jim, because I feel the same way about Tomorrowland Speedway as you do about rollercoasters. TLS can be found in numerous parks around the country in the form of antique car rides on a track. Maybe they aren’t laid out side by side like TLS, but the premise is the same. I also agree with Dean. Having gas powered cars doesn’t fit the theming with Tomorrowland. Use much quieter electric cars if Disney feels the need to keep the attraction. But I will keep mubearloer opinion: demolish the whole attraction and build something better! Funny you mentioned the future being in electric cars-not when govt subsidies end and all the energy it takes to make those inadequate batteries is counterproductive. Keep the race cars and let kids have some fun directly interacting with pretending to drive a care. That is much more valuable than a cheap thrill ride. I doubt Disney is willing to spend $100K+ for each vehicle in what is more futuristic than electric…that being hydrogen powered cars. But cars that sound like my riding lawn mower is definitely a thing of the past and not of Tomorrow. Like I said earlier…keep this ride at the local amusement park. I go to Disney for something more unique. I completely agree with you TwoBits. I never ride the Tomorrowland Speedway because the same exact attraction can be found at two theme parks within driving distance from my home. The MK has also added the jungle cruise “Skippers Canteen” as a reservation restaurant, Along with Beauty and the Beast, naturally that’s going to cause a drop in CRT. And for breakfast, people are wising up that the character breakfasts at the Grand Floridian and Chef Micky are just a monorail ride away and much better in quality. My personal take on #6 is that even people who aren’t vigilant about following parks news are starting to hear of recent changes. With the welcome show being replaced with a stage show where everyone is let into Main Street before official park opening, early ADRs made with the intention of getting those empty Main Street pictures are a thing of the past. 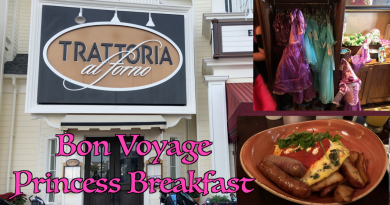 I know for my vacation that took place immediately after that change, it confirmed that I wasn’t going to attempt to get any breakfast reservations in the park and judging by various forums, it’s an important perk for a lot of other families too. The one and only breakfast I’ve had at CRT was delicious, but it’s pretty costly. Considering I knew it was unlikely I would get any pictures without a lot of people in them, we decided instead to splurge at Tiffin’s and feel it was a good choice. I would *really* like to see something done with the Speedway. We have the same sort of cheap feeling thing at our local theme park, and having tried the one at WDW once, I never will again. I’m glad some people enjoy it as it is, but in my opinion it’s an eyesore that isn’t terribly efficient; it’s a clumsy ride experience overall. It doesn’t need to be a coaster, though I’m all for those, it just needs to be… you know, better. Am I remembering correctly that the TLS has the biggest footprint of any ride in the MK? Hey, at least its dated and loud. Kilamanjaro Safaris is is likely the largest footprint, but outside of Animal Kingdom I’m sure it’s TLS. 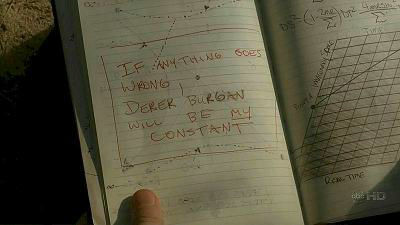 Be honest, Derek. You’d sacrifice your Duffy Bear collection for a nickel and give change…assuming you even had a Duffy collection. Thanks for a fascinating column, as always. Regarding number 6: I wonder as word gets out about changes coming for the 50th anniversary, if guests won’t start postponing visits until 2021. After all for many it is a once or twice in a lifetime trip. Do you think WDW will take steps to ensure trips are a bit more evenly dispersed over the next few years to avoid issues? P.S. 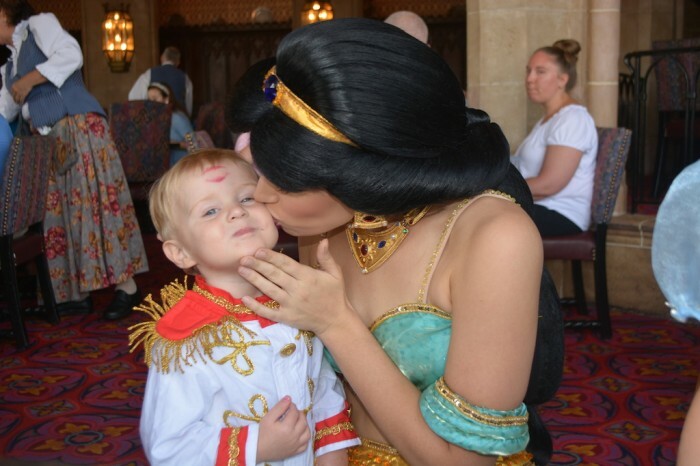 I really miss the combination of you and Brian on Pardon the Pixie Dust. You two made a great team! Regarding #4, while not a country, adding a Star Wars area to Epcot that compliments the one at Hollywood Studios would seem like a way to add a huge boost to Epcot’s popularity plus greatly increase the number of tickets that have the park hopper option added. This would copy the success that Universal has had by having two Harry Potter areas connected by the train, which you can only ride with the park-to-park ticket (which adds around $50 per ticket). Disney could add some type of Star Wars themed ride to connect the two areas that can only be used with the park hopper option. Given the incredible success and popularity of the Star Wars franchise, and the yearly release of new movies based in the Star Wars universe, this idea would certainly be as popular (if not more so) than the two Harry Potter areas at Universal. Plus, it should help even out crowd flow between the four parks. I stopped listening to your podcast with Jim Hill because it seems like you are both looking for all the negatives in everything and making issues where there aren’t any. If the crowds at Disney are any indication I’m not sure what you’re talking about when you say that being able to get a CRT is an indication of a problem in the attendance. Usually it’s because people have to make their reservations 180 days out and change their plans as time goes on. Especially when it comes to the hard to get reservations. It’s a sign of getting more info on the internet that people know they have to plan ahead for those hard to get things and can always change their plans. People are just more informed than they used to be.